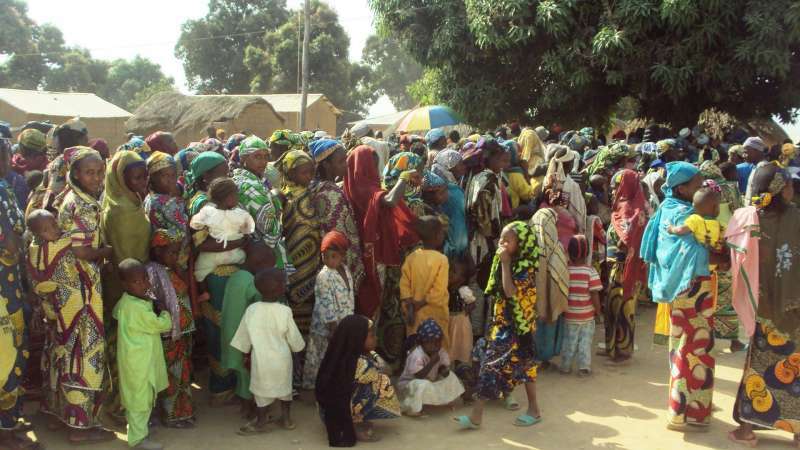 Neighbouring country, Cameroon has repatriated 887 Nigerian refugees in Cameroon have been following request from the Cameroonian government to Nigeria to facilitate their return. According to NAN, Mr Hanson Tamfu, the External Relations Officer, United Nations High Commissioner for Refugees (UNHCR) Nigeria, said on Wednesday in Abuja that the returnees have arrived in Banki, Nigeria’s border town with Cameroon. Tamfu said that the request was prompted by fear and suspicions of the Cameroonian authorities that among the refugees might include some elements of Boko Haram. “The returnees arrived in six trucks sent by Nigerian authorities following the meeting with the governor of the far north region of Cameroon on June 19. “During the meeting, Nigeria was requested to cause the return of refugees, which the Cameroonian authority suspects may also compromise some elements of Boko Haram whose activities have increased tremendously in recent times. “Consequently, the Borno State Emergency Management Agency (SEMA) on June 26 dispatched the buses to transport the refugees,’’ Tamfu said. Tamfu said that the latest group of returnees comprises 233 females, 187 males, 236 girls, and 231 boys who were living in host communities in Kolofata, a far north region of Cameroon. He said it was reported that most of them do not have much in terms of personal effects but a few items in plastic sacks while some returned completely empty handed. Tamfu said that UNHCR responded immediately by providing wet feeding, adding that it also would contact the National Emergency Management Agency (NEMA) and the Borno SEMA to continue with food provision. He said that more returnees had indicated interest to leave Minawowa Camp in Cameroon, adding that they were anxious to return following the media reports about improved security back home. He said they were also eager to return on hearing the government’s decision to distribute food to all the Internally Displaced Persons (IDPs) in Borno.